Penny Sharpe, Shadow Minister for Transport, a member of Rainbow Labor and senior campaigner for Gay and Lesbian rights paid tribute to the late-Ron Quilter-Fienberg in the NSW Parliament this week ahead of Sydney’s 35th Mardi Gras. 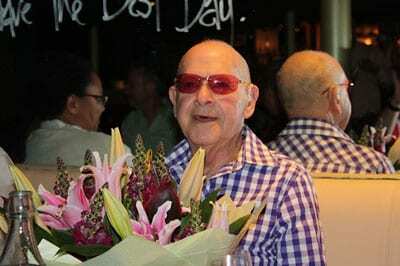 Ron Quilter-Fienberg was a member of Temple Emanuel, a founder of Dayenu and a pioneer for recognition of gay and lesbian rights in Australia. 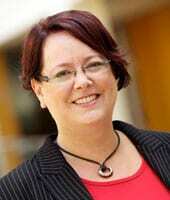 In her speech to Parliament, Penny Sharpe said: “This Saturday I will join 10,000 participants to march in the thirty-fifth annual Sydney Mardi Gras. We will be joined by hundreds of thousands of others in person and online as we make our way up Oxford Street. I take this opportunity to wish a happy Mardi Gras to all those who are veteran parade watchers or participants and those who will attend for the first time. I also give my thanks to the Mardi Gras committee and legions of volunteers, who every year take on hours and hours of unpaid work to put together one of the best street parades and civil rights protests in the world. I also acknowledge and congratulate the many New South Wales government agencies that will be taking their place in the parade. These include the Rural Fire Service, Fire and Rescue, the State Emergency Service, the Ambulance Service and—with one of the most popular floats-the NSW Police Force. There has been massive change in our society. In 1978 police were arresting participants and now they are joining the parade to show their support for diversity, inclusiveness and community-based and responsive policing. As the shadow Minister for Transport I am particularly pleased to see that RailCorp will have a float in the parade. At the thirty-fifth Mardi Gras parade there is a man who will be in many peoples’ thoughts as they make their way along the parade route. This year Mardi Gras will have to happen without Ron Quilter-Fienberg. Ron recently passed away aged 82. I cannot do justice to the words spoken by others about Ron so I will share an edited version of the words of those far more eloquent than I am. Ron’s friend Michael Flynn painted a wonderful picture about the life of Ron Quilter-Fienberg. He told us: ‘Ron Quilter-Fienberg was born in Sydney on 16 September 1930. Ron’s ancestors were all English Jews who came to Australia between 1840 and 1860. By the time he started school Ron’s family had settled in Bondi. He attended school at Randwick and at Sydney Boys High and was part of the Eastern Suburbs Jewish community. In their later years Ron’s grandparents were live-in caretakers of the Great Synagogue in Elizabeth Street, Sydney. 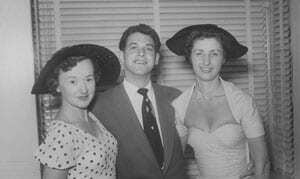 After returning to Sydney from London in 1952 Ron attended the Rathbone School of Dramatic Art run by Miss Judy Rathbone-Lawless and Miss Winifred Healey in Rowe Street, the bohemian heart of the city. He belonged to a theatre company and acted in radio serials and was a strong supporter of the ballet. Clothes were always his forte. He was the best dressed octogenarian in Sydney. The great relationship of his life was with Cameron. Ron and Cameron were keen participants in the many social groups, balls, dances and picnics of Sydney’s gay community. In later years Ron was involved in a variety of charitable and community groups, including the Bobby Goldsmith Foundation, of which he was president in the late 1980s. In 1999 he received a Commonwealth Recognition Award for Senior Australians for contributions to the gay and lesbian community. As he got older he seemed to get even more involved in community activities, working tirelessly with ACON, the Positive Living Centre, the Asylum Seekers Centre, the Emanuel Synagogue and Dayenu, marching with Dayenu in many Mardi Gras Parades. Rabbi Jackie Ninio spoke of Ron’s “presence and connection to the Jewish community” and the Emanuel Synagogue. She said: “Yesterday and today we begin the month of Adar in the Jewish calendar. Ron was a man who brought the joy and delight of Adar into the world. He loved people and everyone he encountered he embraced with his warmth, his compassion and care. He constantly gave to those around him, striving to make a difference in the world and the lives of others. He volunteered in so many aspects of our community’s life, from cooking for and meeting asylum seekers, and volunteering in the canteen at Matthew Talbot to greeting people at the synagogue, handing them a book and making them feel welcomed and comfortable. Ron was a remarkable presence. And he helped make the lives of others more joyful, to bring a little sunshine into the world. And he did it with his unique mix of care and compassion, with his cheeky grin and twinkling eyes, behind which there was always a sneaky little joke or comment, something a little naughty and clandestine. Ron was passionate about his Judaism and about community. He devoted himself to his religion and his people, reaching out to those around him with advice, guidance and lots of fun. He was age defying, every year until recently, treading the boards, singing and dancing in our Purim spiel, [and] grinning out at the crowd, loving his time in the spotlight once more. And he had a spiritual connection too, attending services, linking himself to the long chain of tradition, to his family and holding hands forward into the future; helping us to shape a Judaism which is inclusive embracing of diversity and welcoming. He was a stalwart at our Shabbat dinners and a key member of Dayenu, our GLBTQ group. Every year he participated in the Mardi Gras float, dancing, singing outpacing people half his age. And more recently when the physical demands were too great, there he was on the float, riding, waving and still in the centre of the fun. Although Ron is physically gone from amongst us, he will never really be gone as long as we continue to tell his stories and to live our lives as he did in his greater moments; with joy, fullness of heart, loving people, caring for them and working to make the world a better place. For the many family, friends and organisations that had the honour and pleasure of knowing Ron Quilter-Fienberg, and who will be marching in the parade this weekend, I hope they have a very happy Mardi Gras. I know they will have Ron in their thoughts and in their hearts during the thirty-fifth Sydney Gay and Lesbian Mardi Gras. Thank you J-Wire, Penny Sharpe, Rabbi Jackie Ninio and Michael Flynn for publishing a beautiful story about a beautiful and remarkable person. Thank you for publishing this important story J-Wire.